You’ll never have to rush to our facility to drop off or retrieve something from your storage unit before our closing hours. You can access your unit any time you need to, 24 hours a day, 7 days a week! Our three facilities were designed with our customers in mind and feature all the amenities you could possibly need during your storage project. Whether you’re moving, decluttering, reorganizing, or renovating your home or business, we have a unit that’s perfectly sized and equipped to make your life easier. We strive to simplify your life while you’re storing with us through our drive-up access, online bill payment, 24-hour access, and more! Even if you need extra space in your garage or driveway, we’re confident that we have a solution for you. We offer a range of parking spaces at our facilities that are perfect for your RV, boat, or extra vehicle. What’s more, you won’t have to pay an arm and a leg just to store with us - we have some of the most competitive prices in the Atlanta metro. 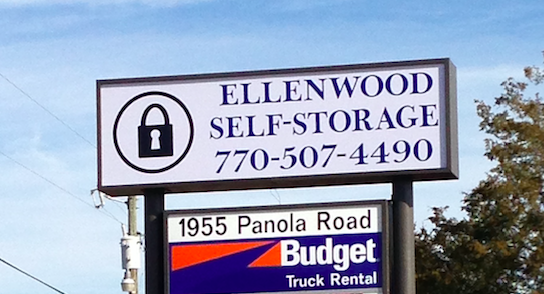 Come visit our facility or contact us to start simplifying your life today with the extra space you need!